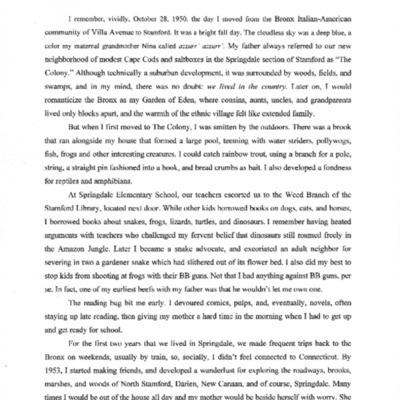 Subject is exactly "Oral histories"
Typed account of Gil Fagiani's life growing up in the Springdale neighborhood of Stamford, Connecticut. He gives an account of what life was like in Stamford in the 1950s, including spending time with friends and encountering bullies at school. 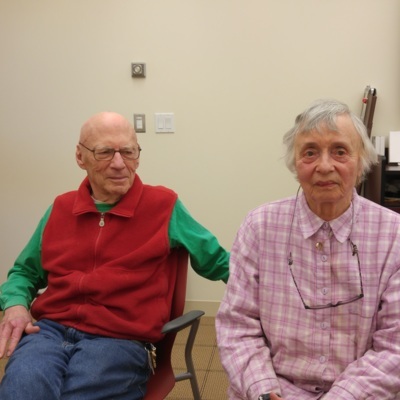 Herb and Louise Spirer at the Ferguson Library after their Tell Your Story Interview on February 14, 2017.